At the GKN Western Approach plant, Bristol (UK), the rear spars of the A350 wing box are manufactured in three pieces; while Spirit Aerosystems Kinston (USA) plant is responsible for the front spar pieces. These five AFP MTorres installation allows GKN to cope with the Airbus maximum rate of 13 ss/month. Also, GKN have allocated additional space at their facilities for one more unit each, to cover for whatever Airbus decides, hopefully in the near future, about a new enlarged versions of the A350 what would definitely lead to more production capacity needs and perhaps, larger machines for larger components. All this potential additional equipment needs are to be seen as yet. 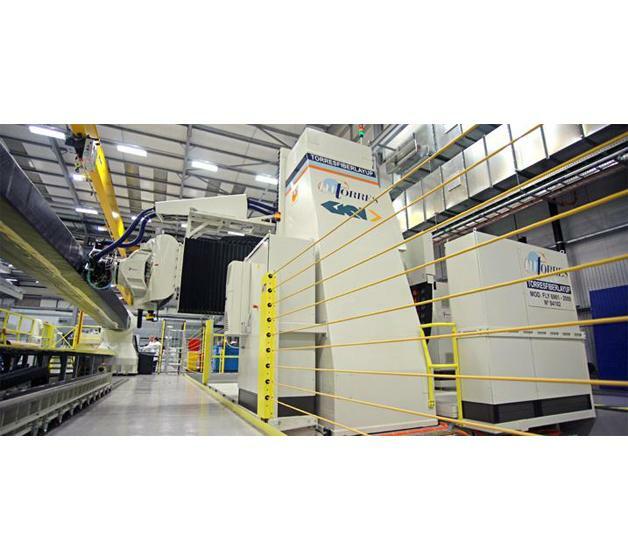 GKN has also got a Torreslayup machine to manufacture the spars of A400M of Airbus.